We’ve got it! 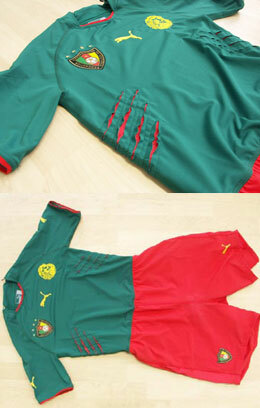 The original one-piece-kit from the indomitable lions on an ebay-auction . The six-point deduction from Cameroon's 2006 FIFA World Cup qualification table was lifted today by FIFA at the world governing body's Centennial Congress in Paris. Show that you've voted , get the banner and make a link to: www.save-the-game.com! Spread the word!